Time is running out to submit public comments on the rule package proposed by the Indiana Natural Resources Commission (NRC). The Center for Wildlife Ethics (CWE) has already warned about the NRC’s proposed and misguided bobcat season and the agency’s intent to mandate wild animal control operators to kill every raccoon, opossum, and coyote they encounter. If you haven’t already joined CWE in opposition to NRC’s rule proposals, please consider speaking out against the NRC’s reckless plan to open State Park Lands for commercial fur trapping. Current law rightfully prohibits hunting and trapping on State Park Lands (312 IAC 9-2-11). State Park properties are for the enjoyment of everyone and should not be used for violent pursuits that make the land less safe for park patrons or the parks’ wild inhabitants. Yet the NRC has proposed a rule change that betrays the public’s trust and turns the prohibition on its head by allowing numerous species to be trapped by private individuals as well as park employees. NRC’s justification for this rule provision lacks any legitimacy. 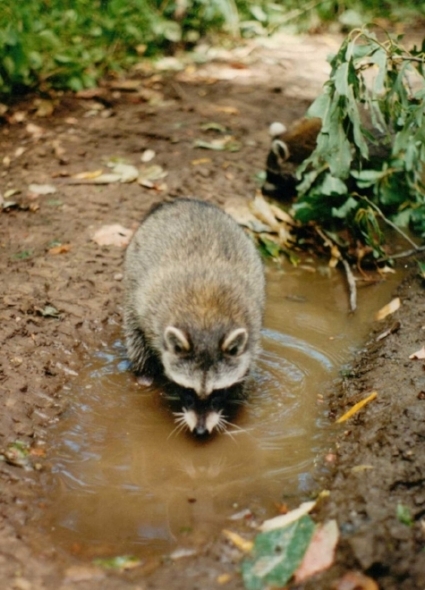 The language of the rule purports to limit trapping to situations where an animal is “causing damage or threatening to cause damage or creating a public safety or health threat.” However, nothing in the rule requires substantial evidence of any “nuisance,” damage, or alleged health or safety threat. Trappers are not required to explore and exhaust nonlethal alternatives. The rule’s conditions for trapping are too vague and open-ended to act as an effective or enforceable limitation. Permission to kill an animal that is “threatening to cause damage” will inevitably be interpreted as permission to trap any animal that is present in the park. This rule provides ample monetary incentive for IDNR employees to contrive nonexistent nuisance or threat in order to create the conditions to justify commercial fur trapping. The NRC doesn’t even bother pretending that opening public lands to trapping activities isn’t about commercial gain. If it were true that the agency was motivated by “nuisance” concerns, it would adhere to the current legal standard that prohibits trappers from selling, bartering, gifting, or trading the furs of “nuisance” animals they kill. The proposed rule includes no such prohibition, so trappers are absolutely free to trap for profit on public property. This proposed rule is ripe for nepotism and civil service abuses. IDNR—the agency tasked with serving as stewards and premises custodians of public lands and wildlife—cannot simultaneously protect state properties and wild animals while profiteering as well. The ability to trap animals on public land and sell their furs for profit should not be a job perk for IDNR employees, nor should State Park Property Managers be able to do favors for their friends by extending them permission to trap on park properties. The NRC/IDNR lacks the necessary statutory authority to permit commercial fur trappers to maintain lethal traps on state park and historic site properties and sell the pelts from animals killed. A rule revision cannot remedy this legal reality. CWE is currently litigating the illegality of trapping on public lands in the Indiana Court of Appeals. CWE has also filed a lawsuit against the Indiana Office of Management and Budget, the agency tasked in Governor Pence’s 2013 Executive Order to approve all proposed rule-making packages. Once again, please take a moment to submit a public comment opposing the use of our State Parks and other public properties for fur trapping. Comments on NRC’s rule package must be submitted by March 23, 2018.